We have been blessed with an amazing team of people. Here’s your chance to meet our growing team! Alayu is one of the founders of Embracing Hope Ethiopia and serves as the Ethiopian Director. With a long history in development circles, including World Vision’s micro-enterprise operations, Alayu brings a lot of experience in work among the poor. Alayu provides oversight to all operations in Ethiopia as well as the Management Team for the organization. Alayu’s heart for the poor is obvious as he continually is compelled for us to be able to serve more Mothers and Children – so that they might embrace hope in all areas of life. Alayu originally grew up in Northern Ethiopia. He holds a BA in Theology from Evangelical Theological College, an MA in Leadership from Ethiopian Graduate School of Theology and an MA in Holistic Child Development also from Evangelical Theological College. Alayu lives near to Kore’ with his wife Kidist and their son Amanuel who is 6 years old. 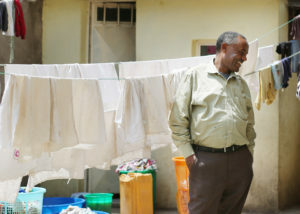 Anna’s connections with Ethiopia began in 2004 when she and her husband Jim were invited to join a short-term leadership development team–and had to look on a map to see where in Africa Ethiopia was located! On that visit she fell in love with the people of Ethiopia and has carried them in her heart ever since. 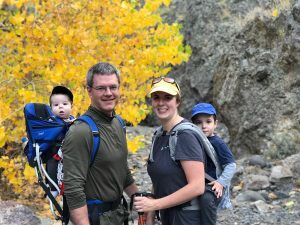 Anna, Jim, and their son have returned to Ethiopia several times to continue working at leadership development—most recently for two years with Eastern Mennonite Missions, 2008-2010. As EH Managing Director she is excited to continue serving the Ethiopians she loves by working Stateside to ensure that Embracing Hope operations run smoothly on both sides of the world. Anna and Jim have been a pastoral couple for 25+ years, currently for Ark Bible Chapel (Mennonite) in southeast Pennsylvania. Anna’s primary passions in ministry are the inner healing of spiritual and emotional wounds and the health of marriages and families. She loves to see people freed to fully respond to Christ in all aspects of their lives. Anna holds BA & MA degrees in Historic Clothing and Textiles, as well as an MA in Cultural Sustainability. She is also adjunct faculty in the Cultural Sustainability MA limited-residency program at Goucher College (Baltimore), specializing in the intersection of culture, spirituality, and sustainability. Anna and Jim have three children (a college-aged son and two 30-something married daughters) and five grandchildren. Pennsylvania with her husband John. Judy holds an Associates Degree in Early Childhood, Bachelor’s Degree in Elementary Education and a Master’s degree in Music Therapy and Expressive Arts. Judy and John have a two adult children and two grandchildren. April came on board as the Family Sponsorship Coordinator in 2015, though her love for Embracing Hope began in 2012 on a trip to Ethiopia. Since that trip, April has advocated and shared stories about these families every opportunity she and her husband get. April is married to Joe, a man equally passionate about orphan advocacy and family preservation. They have 4 children (the youngest is a foster placement they are in the process of adopting). 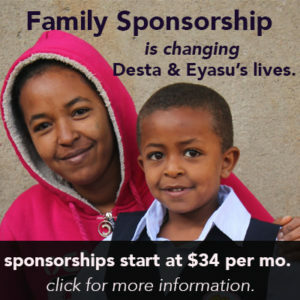 If you have any questions related to sponsorship, or you would like information on sponsoring a family, please contact April at sponsorship@EmbracingHopeEthiopia.com . Jerry & Christy Shannon’s first trip to Ethiopia was in 2008 when they traveled to adopt their youngest daughter, Hanna. On that trip, God deposited something in their hearts about serving the poor and marginalized. 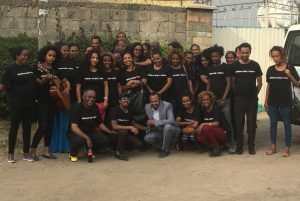 In 2009 they moved their family to Addis Ababa, where they lived in Kore’ until 2018. About 1 year into their stay in Addis Ababa, they were able to help catalyze the beginnings of EHE. 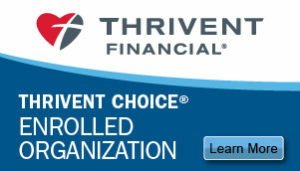 Today, Jerry continues to serve on the Board of Directors. They have 7 children, Joshua (19), Micah (17), Caia (14), Hanna (11), Kidist (7), Mihiret (5) and Malachi (1). Education: BA in Sociology and Religion, Thiel College. 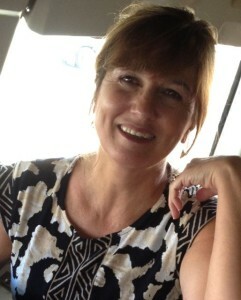 Married to Christy for 23 years. Have 7 children…Joshua 19, Micah 17, Caia 14, Hanna 11, Kidist 7, Mihiret 5 and Malachi who is 1 year old. Married to Mike. One son, Benjamin and one daughter, Amanda. Currently employed as Manager of Digital Production at Compassion International. Founder of Brighton Their World. Married to Travis, 2 sons Ethan and Titus.